Lots of people have the habit of making and receiving calls when driving. However, this is very dangerous since many accidents have occured due to this problem. The bluetooth car adapter we provide here can help you with this problem. Hands-free and wireless music play control make you more convenient to receive or listen to music when driving. - Size: About 86 * 4 * 1cm/33.86 * 1.57 * 0.39inch(L*W*H). - Widely Compatible: Universal bluetooth technology, stream music from any bluetooth capable device like Android smartphone, iPhone 7,Samsung Galaxy, Tablets, and other media players. 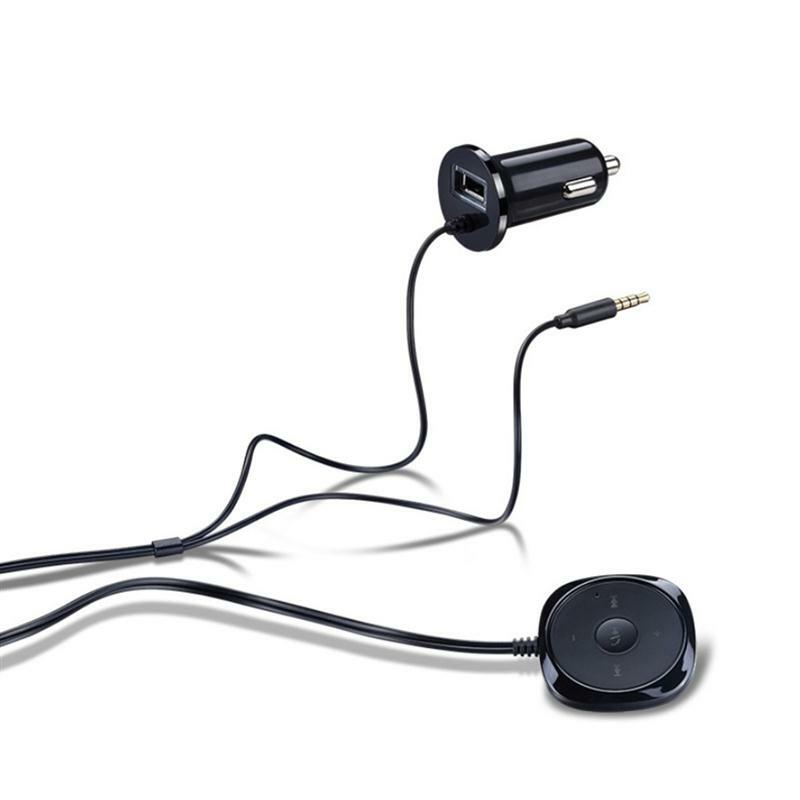 - Simple installation: Easy to connect your smartphone with your car stereo - just simply plug it into your car's auxiliary input jack and pair with your phone via bluetooth. It automatically power on and connect to the last paired device. 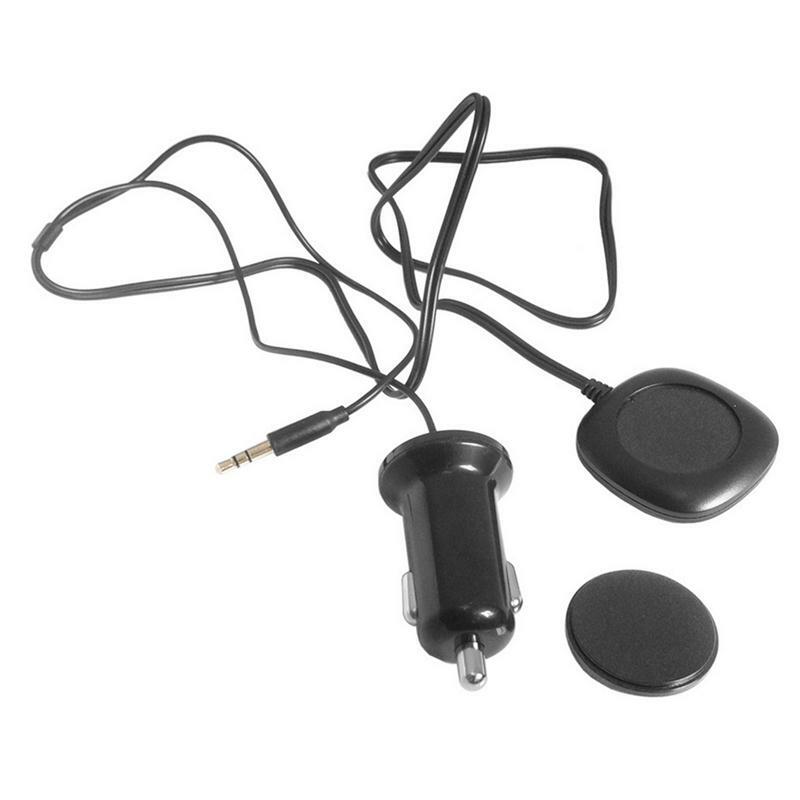 - Hands-free design: Provide a simple hands-free solution for answering and receiving phone calls from your Bluetooth-enabled phones while driving. Seamlessly switches between incoming calls and music. - Wireless music player control: You can press the button to control all kinds of modes. Play, Pause, Previous song, Next song, Volume down, Volume up; Talking controls: answer and reject calls . 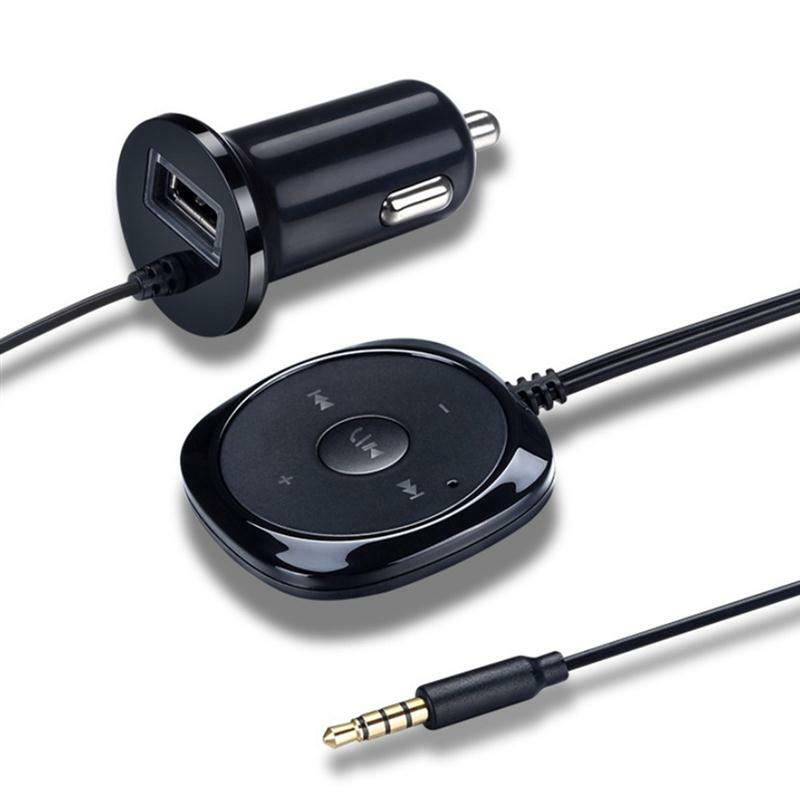 - USB car charger: The cigarette lighter power adapter comes with 5V/2.1A USB charging port which enables to charge additional device conveniently at the same time.